Surrounded by all that could sustain her, she knew it was not enough — for only when she could run free, would she be completely nourished. 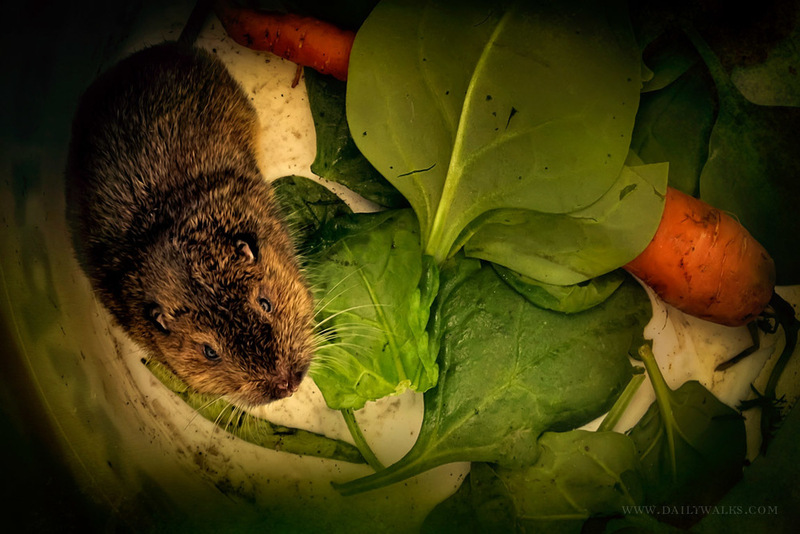 This little critter (aka gopher) was caught one day when it had the courage to run across the yard. Just a baby, it most likely didn't know better and was lulled upward by the warm sunshine and blue skies. Upon catching her, I put her in a bucket of veggies and took her for a ride to a larger field where she could run free. Just before releasing her, she looked up at me with her sweet, knowing gaze — it was one of those looks that I shall recall whenever our lawn starts erupting dirt mounds. I now can't help but love these little beasts!